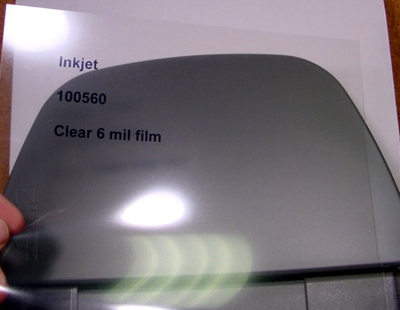 This is clear smudge-resistant film that has a caliper of 0.0060″. It has excellent quality printing results from standard desktop inkjet printers in the 300×300 or 600×600 DPI mode. Rippedsheets.com can also convert this material with perforations.